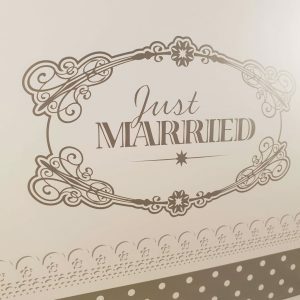 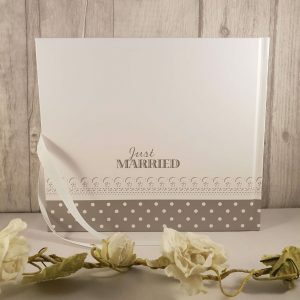 This beautiful chic Just Married guest book has 34 white high-quality double-sided pages, giving your guests plenty of room to write their well-wishes on your big day! 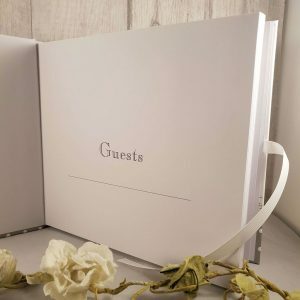 The guest book is 22cm in width and 19cm height. 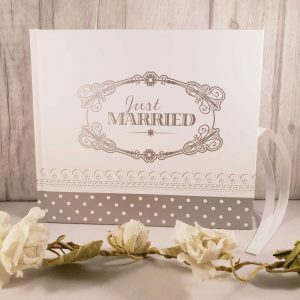 It’s smaller than A4 but bigger than A5. 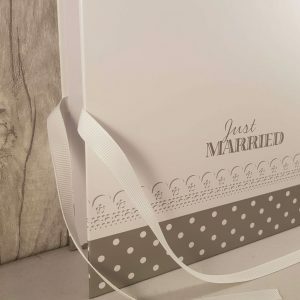 A great size for small-medium sized weddings. 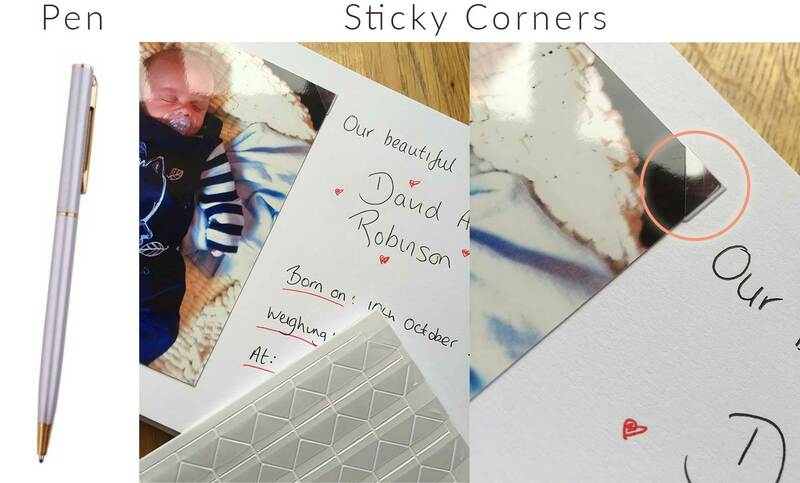 You could add photos to spare pages with the sticky corners which is an ‘extra’. 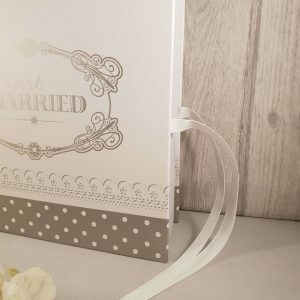 A beautiful white bow is attached to the middle, allowing you to close the guest book. 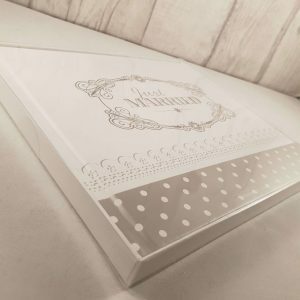 The guest book comes in a box with a PVC lid for safe-keeping.